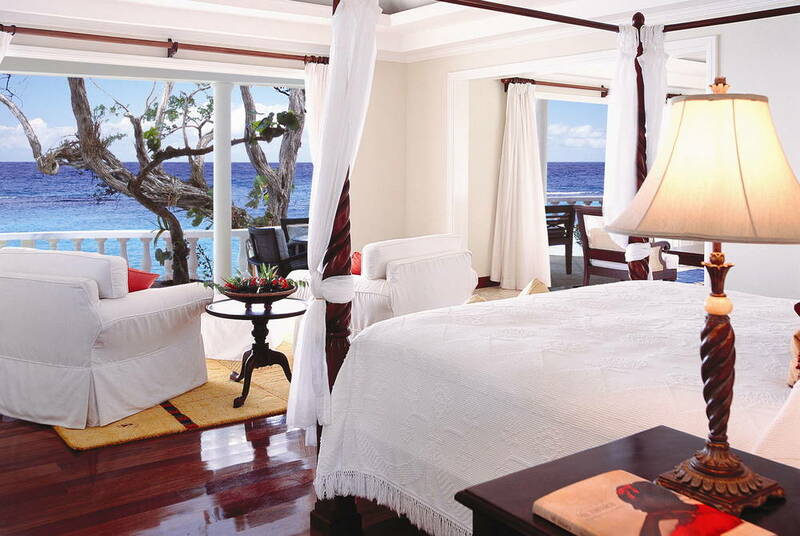 Jamaica Inn is a charming boutique hotel set on a gorgeous white sand cove two miles from Ocho Rios. 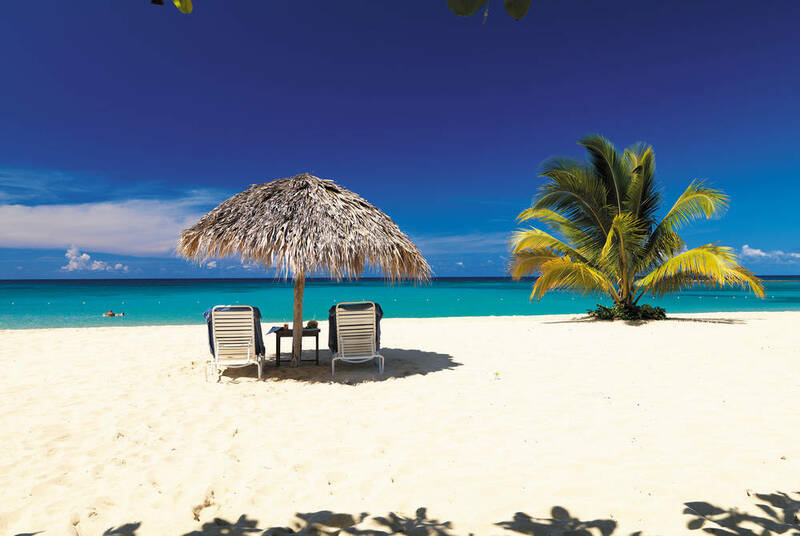 Located on one of the premier private beaches on the island and consistently rated as one of Jamaica's finest properties, Jamaica Inn provides a relaxing and intimate base to explore this wonderful Caribbean island. 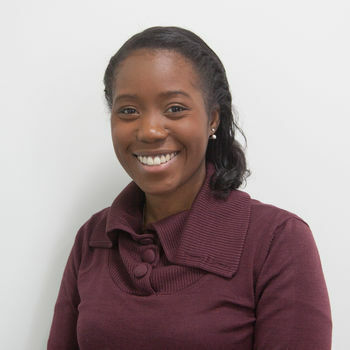 Jamaica Inn is the only luxury hotel on the island staffed entirely by Jamaicans - some of which have worked there since its' opening in 1950 - and the service provided by General Manager, Mary Philips and her team is absolutely impeccable. 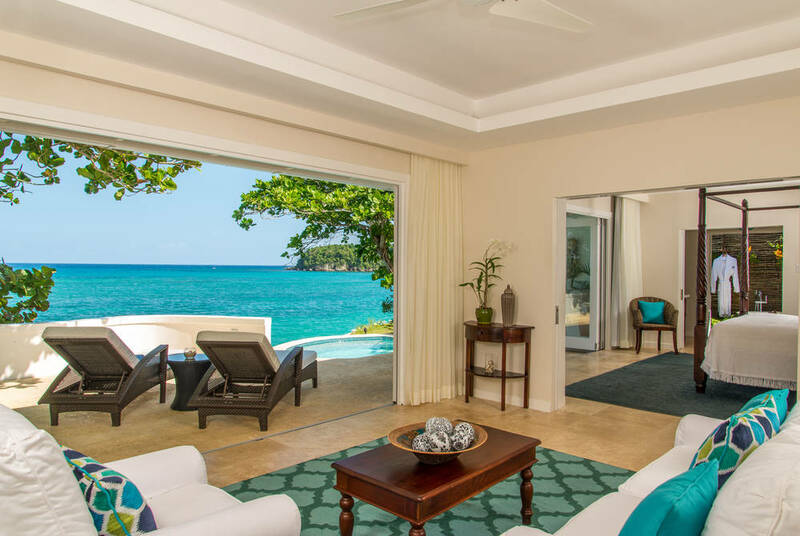 Jamaica Inn has just 47 spacious suites and four, one & two bedroom cottages, creating an intimate and homely atmosphere where personal service is king. Enjoy the blend of old-world colonial charm and refined furnishings that you'll find in each and every room as well as the unique 'open air' lounge terrace, which can be found in the hotel's suites. All rooms at Jamaica Inn also come with air conditioning, ceiling fans, complimentary WiFi and, most importantly, spectacular ocean views. 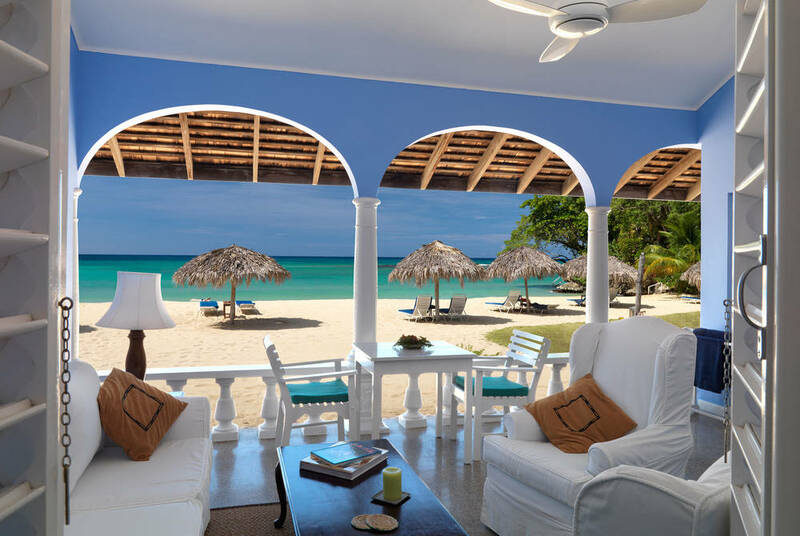 Unlike many hotels, the Jamaica Inn has no televisions, radios or clocks, affording complete peace, serenity, relaxation and escape from the everyday world. Begin the day with breakfast served to you on your veranda overlooking the ocean or head to the Terrace Restaurant, which as well as serving breakfast, also features a wonderful lunch menu and a delectable six-course dinner, served in a beautiful open-air setting overlooking the sea. Saturday night is lobster night and the rest of the week the cuisine is made up of international fare infused with local Jamaican flavours. The Seaside Restaurant provides a perfect light lunch and for afternoon tea and pre-dinner hors d'oeuvres head to the Cocktail Terrace. If you want to experience the ultimate in romantic dining, arrange a private dinner for two on the beach, with just the gentle lapping of the waves on the shore as your soundtrack. This exclusive dining experience is best booked in advance of your stay to avoid disappointment. Facilities at Jamaica Inn include the fabulous KiYara Ocean Spa, with a tranquil outdoor setting and a wide range of natural treatments, ingredients for which are all sustainably sourced on the island. For those looking to do more with their stay than simply relax, Jamaica Inn offers a wealth of facilities for the more active guest, including tennis courts, a wonderful swimming pool and a fully equipped gym. Near to the hotel guests can also enjoy golf, windsurfing, diving, sailing and horseback riding. use of a lounge in the UK (subject to departure airport and terminal). 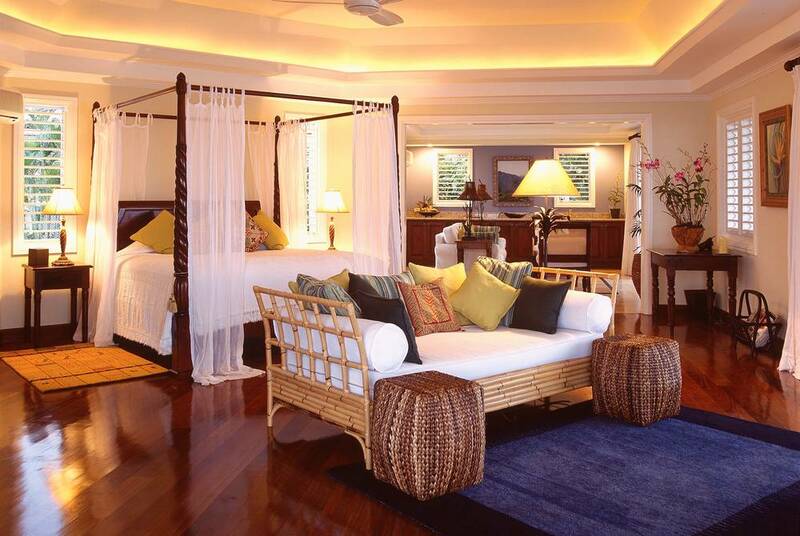 Located on a former plantation, Round Hill offers low key luxury, timeless glamour and discreet personalised service. Set on the western edge of Jamaica, the Couples Swept Away resort is located on 457 metres of the Negril Beach's famous Seven Mile Beach. The resort welcomes adult couples eager for activity and relaxation. 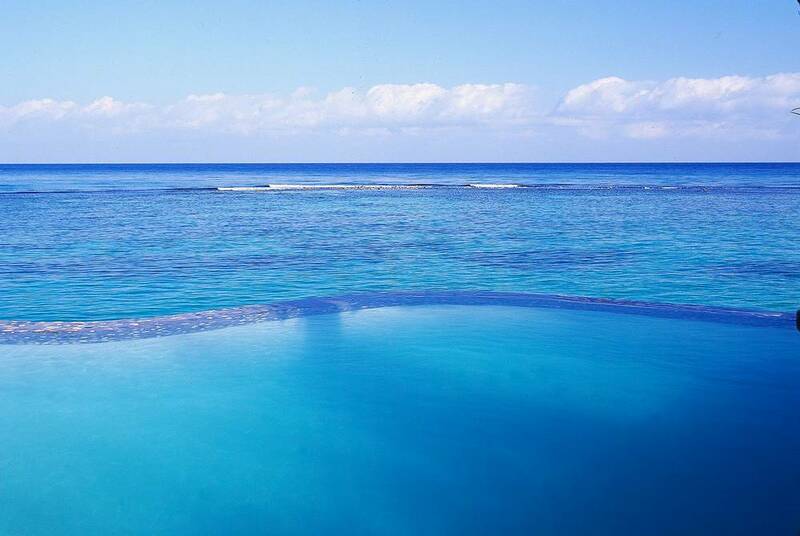 Enjoy a holiday without compromise at this prestigious, multi-award winning resort, with everything you could possibly need for a perfect stay.